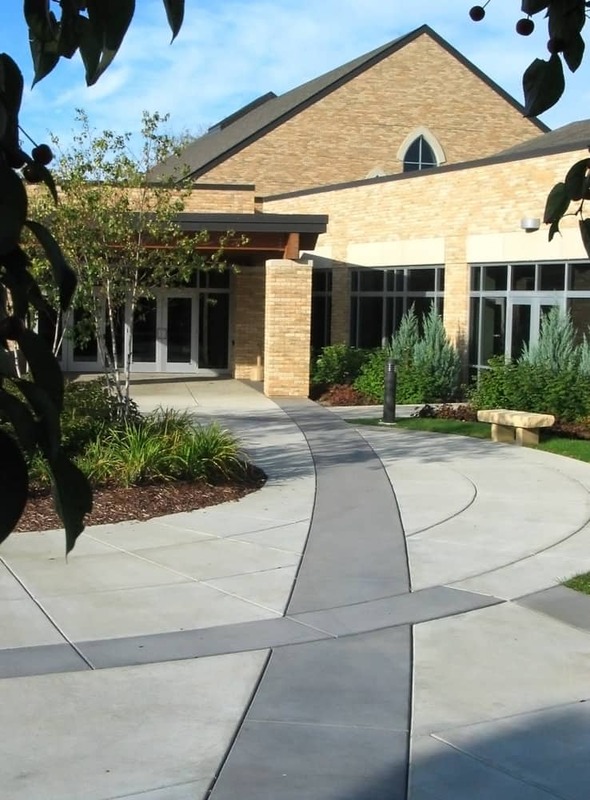 A blend of the history and tradition of worship with the natural and historical elements of the Mississippi River valley create a worthy expansion to Minnesota’s oldest active Catholic parish. 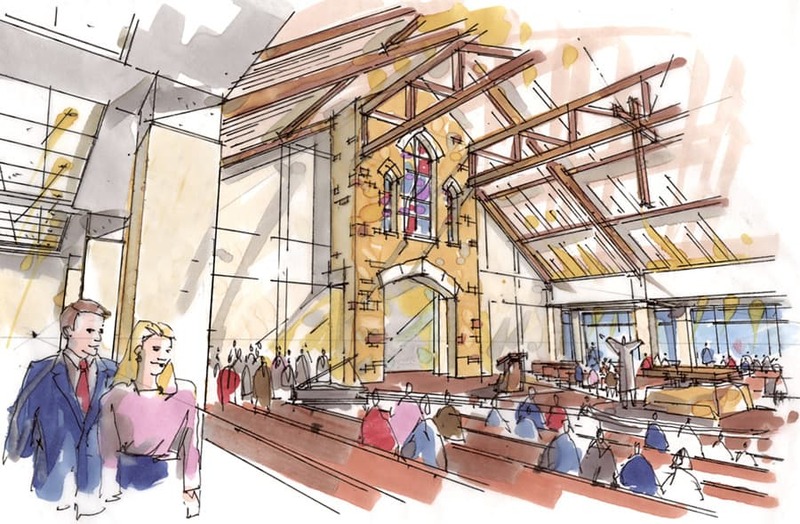 Preserving the prominence of the original 1853 sanctuary and its landmark steeple outside, the design of the inside worship center and social hall brings warmth and elegance to open spaces for ceremonies and gatherings. The use of natural local materials throughout the structure forms a simple and peaceful space for reflection and meditation with the ambiance of creation. Limestone exteriors rise in harmony with the river bluffs while vaulted ceilings inside reflect a traditional style. 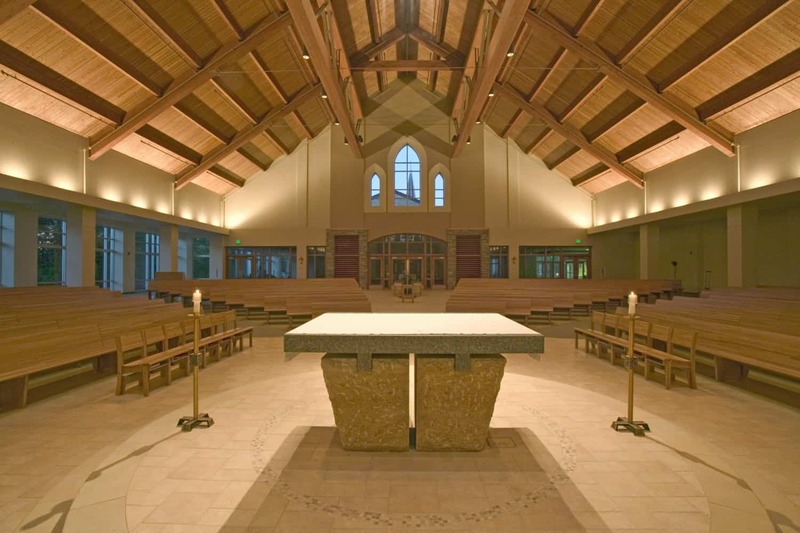 A circular arrangement of the pews around the altar creates an atmosphere of community among parishioners. 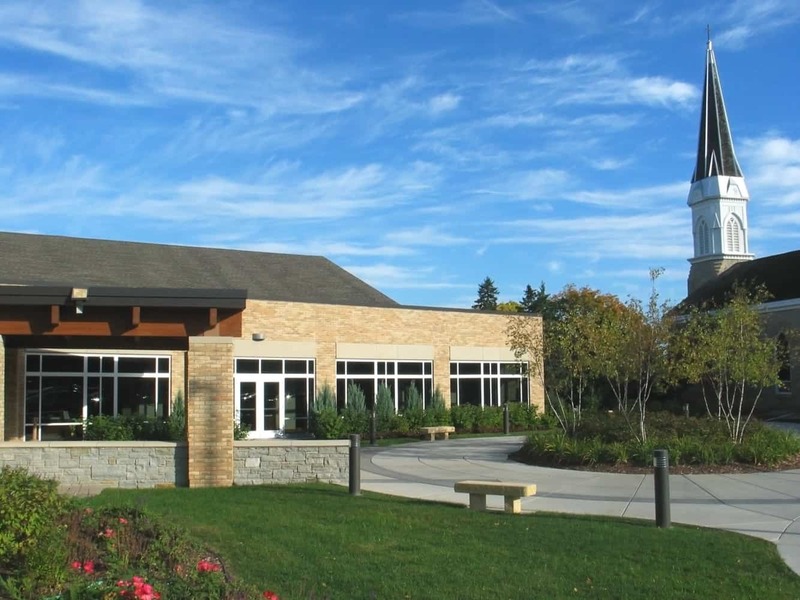 The Heritage Center social hall not only houses community gatherings and events but also serves as museum space highlighting local and parish history. 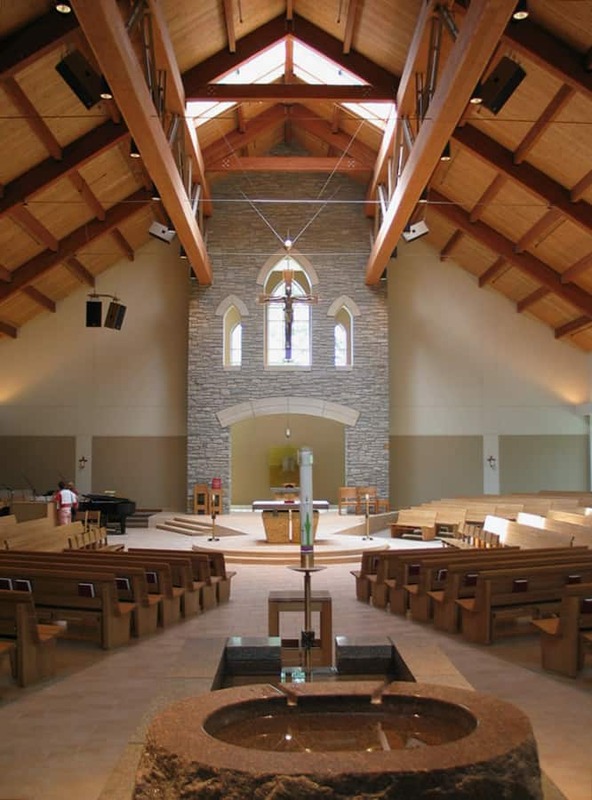 The beautiful new structures nestle comfortably into their historically rich surroundings and provide a fresh breath of life for faith and worship.